When I first began reading Georgette Heyer’s Regency romances, I was intrigued by the world she created. Prior to reading her novels I never gave a thought to how people really lived in the early 1800s, even though I’ve always loved history, and studied English history, in particular. There was something about her novels, though, that brought that world to life for me. 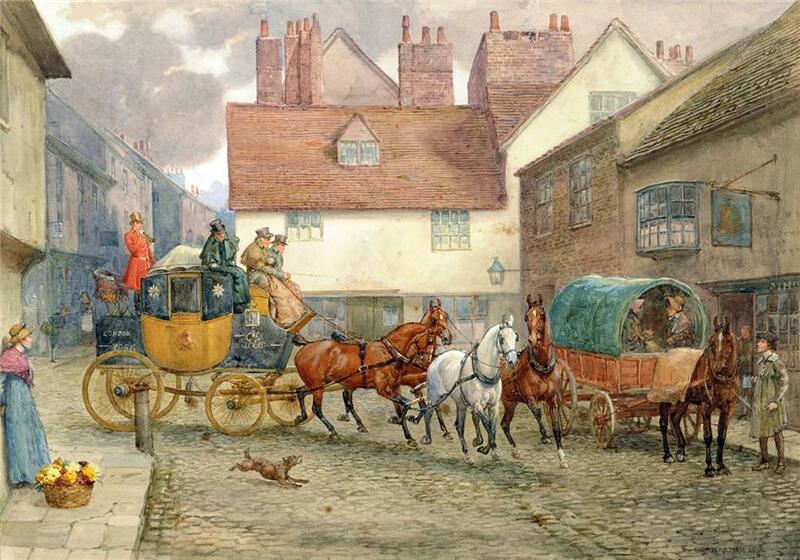 One part of her Regency world that intrigued was the idea of travel. 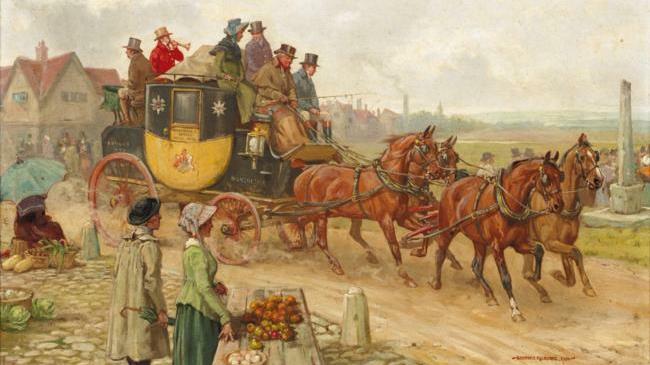 Reading Heyer’s novels, like Arabella, Regency Buck, and Sylvester, made me curious about how people traveled long distances, or even from one neighboring town to another. Heyer had a way of making travel sound both tedious and romantic. Her words painted a picture of just how boring and exciting, dangerous and uncomfortable it could be to ride in a cramped coach for hours with people you don’t know. Over the years I’ve collected quite a few images of Regency-era coaching scenes. 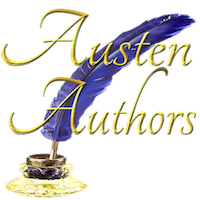 They help me visualize Heyer’s stories as I read them, and help me better describe coaching life as I write my own novels. A 1908 postcard titled, Taking Up Passengers. Below are some of my favorites images: they’re a series of coaching illustrations by artist Gilbert Wright that he produced between 1907 and 1911. I like them because of the little details Wright included in his paintings, like those boots in the first painting, titled Getting Ready. 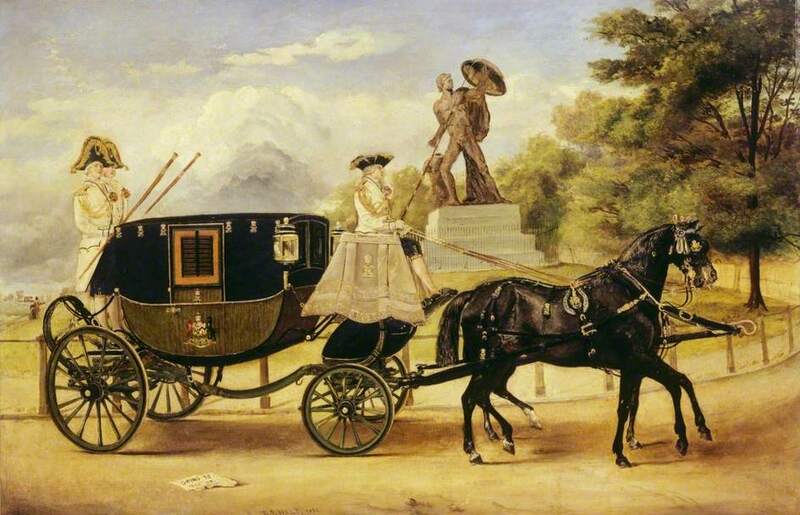 And in the painting titled The Top of the Hill, he showed the passengers of the stage coach walking up the final approach to the hilltop; whether they did so to lighten the load or simply to get some exercise on a pleasant day, is a question left to our imaginations. I’m happy to share my favorite images with you so that you, too, can “get a visual” of what it was like to travel in Regency England. I hope you enjoy them! Getting Ready, by Gilbert Wright, 1911.